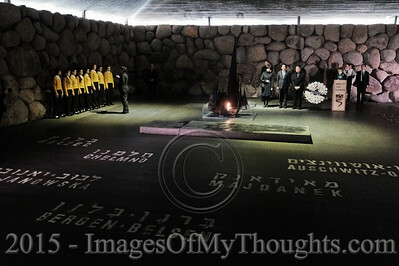 Prime Minister of Japan, SHINZO ABE, accompanied by his wife, AKIE ABE, partakes in a memorial ceremony in the Hall of Remembrance at Yad Vashem Holocaust Museum. This is the first official visit to Israel by a Japanese premier since 2006. 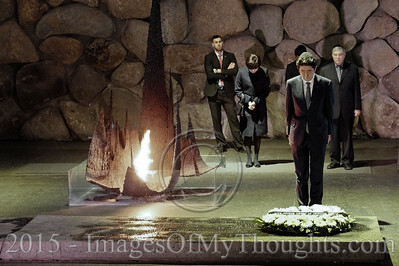 Prime Minister of Japan, SHINZO ABE, lays a flower wreath in memory of victims of the Holocaust at a memorial ceremony in the Hall of Remembrance at Yad Vashem Holocaust Museum. This is the first official visit to Israel by a Japanese premier since 2006. 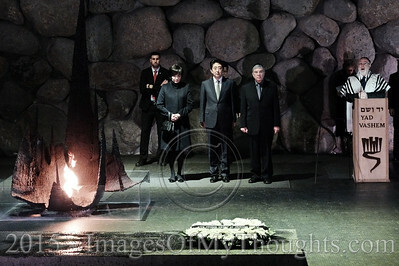 Prime Minister of Japan, SHINZO ABE (front center), accompanied by his wife, AKIE ABE, partakes in a memorial ceremony in the Hall of Remembrance at Yad Vashem Holocaust Museum. This is the first official visit to Israel by a Japanese premier since 2006. 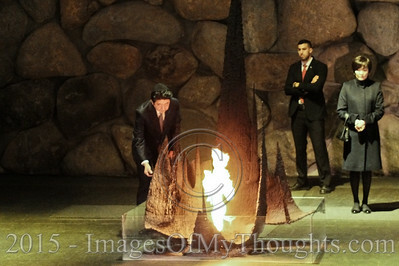 Prime Minister of Japan, SHINZO ABE, rekindles the Eternal Flame at a memorial ceremony in the Hall of Remembrance at Yad Vashem Holocaust Museum. 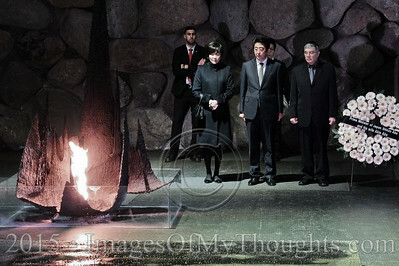 This is the first official visit to Israel by a Japanese premier since 2006.